Everyone knows that one of a leader’s greatest responsibilities is to communicate a clear and compelling vision for the future. However, there is a very powerful leadership responsibility that is often overlooked: defining the present reality. There are hundreds of ways for the people in your organization or team to interpret the reality they work in. Some will compare your organization with other organizations. Some will judge based off some glorious past. Some will go by their feelings or personal situation. Left to chance, each person will have a different interpretation of where the team is. Even if you’re able to communicate a compelling vision of the future, you’ll never find agreement on a pathway to get there. Each person would start from a different point to reach the agreed upon destination. A great leader must find a way to not only show people a glorious future, but to define the starting point. Define Reality in the context of where you’re going: The Vision should be the point of comparison that defines your present reality. Any other measure is less powerful and potentially distracting for your team. Ex: Your organization probably has all sorts of problems. Part of defining the present reality is choosing which ones are BIG problems and which ones really don’t need that much focus. You can’t FOCUS on everything at once. Use your leadership influence to highlight the problems that stand in the way of the vision and downplay the problems that don’t. Comparisons with the past, other organizations, and industry best practices can be helpful analysis, but they are not a powerful leadership tool until they are brought into the context of a vision for the future. An intentionally defined present reality that is communicated in the context of a compelling vision will bring a great alignment and focus to your team. 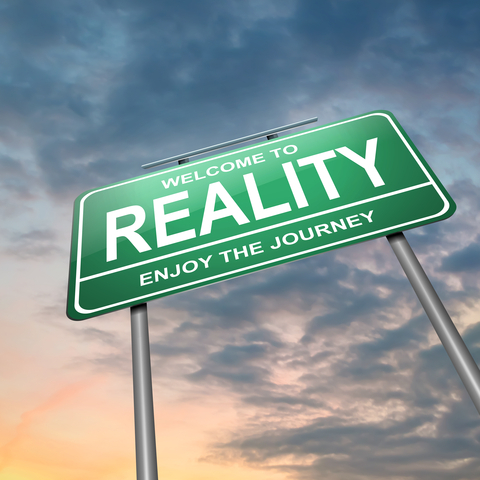 What other ways could you use defining the present reality as a leadership tool? Another way defining the present reality can be used as a leadership tool: Often in the context of the present there are many more positives and strengths than their are negatives and weaknesses, while in the context of the future and the past the present can always look seem like it lacks any good thing. Sometimes It’s good to take a good strong look at the present and recognize all of the gifts and strengths you’re bringing to the table, this sets you up to look optimistically and realistically at how to accomplish a future goal. I hope that makes some sense, it is early so if not, just move along. That’s a great comment, Erin! Often by taking a look at the successes of today we can get a glimpse at where God is leading us into the future. What is He blessing that we can build on?